Fleet Feet Tucson carries a variety of massage tools, including hand-held massagers from MuscleTrac and Addaday, and foam rollers. Massage products are designed to help increase blood flow and improve mobility. Massage is key to prevent common injuries and recover from exiting pain. The size and shapes vary, allowing you to be more precise about the areas you wish to target. Foam rollers are excellent for massaging larger muscle groups like quads and hamstrings, and are essential for IT Band health. 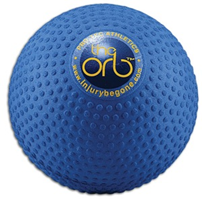 Smaller tools like the Orb and Addaday roller go where foam rollers can't to treat specific areas such as the piriformis and soas muscles.